The revenue stream created by cargo is an important one for airports. Mark Glover from International Airport Review spoke to John Frogatt, Cargo and Commercial Bid Director at the Manchester Airport Group (M.A.G) about the importance of the market and how it affects the group’s circle of airports which includes Manchester, East Midlands and Bournemouth. Mark Glover: In December 2012, the Transportation Security Association (TSA) will be introducing regulations that will mean 100 per cent screening of all international cargo. How will this affect your security procedures and ultimately, your efficiency? John Frogatt: Security is important for all of us. I believe that an important step forward has been taken in that the U.S Transport Security Administration and the European and Canadian regulators have now agreed to recognise each other’s procedures, which should reduce duplication and ultimately cost and delay. MG: What markets are the most important at the moment and which countries do you feel will start to emerge over the next five to 10 years? JF: Asia, particularly China, along with the USA, are important markets at the moment, particularly for Manchester Airport. The impact of the Gulf-based carriers such as Emirates, Etihad and Qatar Airlines-which operate tripledaily, double-daily, respectively-with their increasingly large bellyhold uplift and network capability to serve a range of markets, a model which Singapore Airlines has operated for many years, cannot be underestimated. 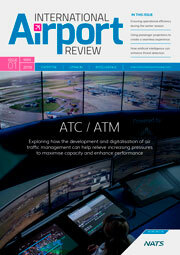 The revenue stream created by cargo is an important one for airports. Mark Glover from International Airport Review spoke to John Frogatt, Cargo and Commercial Bid Director at the Manchester Airport Group (M.A.G) about the importance of the market and how it affects the group’s circle of airports which includes Manchester, East Midlands and Bournemouth.Mark Glover: In December 2012, the Transportation Security Association (TSA) will be introducing regulations that will mean 100 per cent screening of all international cargo. How will this affect your security procedures and ultimately, your efficiency?John Frogatt: Security is important for all of us. I believe that an important step forward has been taken in that the U.S Transport Security Administration and the European and Canadian regulators have now agreed to recognise each other's procedures, which should reduce duplication and ultimately cost and delay.MG: What markets are the most important at the moment and which countries do you feel will start to emerge over the next five to 10 years?JF: Asia, particularly China, along with the USA, are important markets at the moment, particularly for Manchester Airport. The impact of the Gulf-based carriers such as Emirates, Etihad and Qatar Airlines-which operate tripledaily, double-daily, respectively-with their increasingly large bellyhold uplift and network capability to serve a range of markets, a model which Singapore Airlines has operated for many years, cannot be underestimated. JF: Asia, particularly China, along with the USA, are important markets at the moment, particularly for Manchester Airport. The impact of the Gulf-based carriers such as Emirates, Etihad and Qatar Airlines-which operate tripledaily, double-daily, respectively-with their increasingly large bellyhold uplift and network capability to serve a range of markets, a model which Singapore Airlines has operated for many years, cannot be underestimated. Looking further ahead, air cargo flows ultimately reflect wider economic trends. If as forecast, develop – ment in Asia moves, both within China to areas further west and south, then to Vietnam and perhaps ultimately Africa, these areas will become increasingly important – along with some of the other major growth economies, such as India and Brazil. MG: How important are the relationships you foster with the global airports and what are the key elements that you look for in a partnership? JF: As customers or potential customers, our most important relationships are with airlines, together with the other serious players in the flow of cargo, such as the freight forwarders. 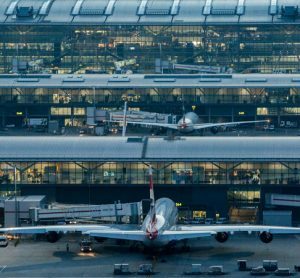 Airports compete for airline traffic, although this is driven largely by geography; however all airports tend to share common issues and problems, which can be improved or mitigated by dialogue. 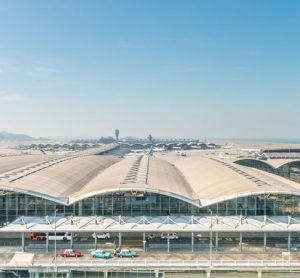 From a wider perspective, M.A.G recently signed a sister agreement with the second largest airport in the world, Beijing Capital International, to exchange ideas on strategy, operations, sustainability, security and future development. Looking into the future, partnerships such as this may help us to better understand the requirements of, for example, Chinese airline customers, or bestpractice sharing. MG: In terms of an airport’s revenue, how important is the cargo sector and how can this revenue be maintained? JF: Cargo is a significant contributor to revenue, particularly at East Midlands Airport, which is the number one UK airport for pure cargo. We are constantly seeking to develop new services with potential customers, but we also work closely with our real estate colleagues to maximise the potential for ancillary revenues, which are driven ultimately by the success of each airport as a cargo operation. At Manchester, the £650 million Airport City project will add 1.4 million square feet of new state-of-the-art logistics space, with fully integrated air-to-road transfer capabilities, over the next decade. We believe this will be a very attractive proposition, not just for logistics operators, but also for airlines which are perhaps considering entering the UK market. MG: Your UK locations in Manchester and the East Midlands are important; logistically what benefits do these locations bring? JF: East Midlands Airport is located pretty much in the centre of the country with around 90 per cent of England and Wales within a four-hour drive, which makes its location extremely well placed for airlines wishing to serve the country from one location. This is a factor that has not gone unnoticed by the integrated carriers, with DHL, UPS and TNT, as well as Royal Mail, all having significant operations at the airport. In a similar way Manchester Airport is very well situated to serve the North of England, with a catchment area that extends coast-to-coast, North to Scotland and South to Birmingham. Connections to Ireland from Manchester are strong too. We always approach potential customers with an open mind as ultimately we want them to operate from one or more of our airports across the UK, depending on which best suits their requirements, with each airport’s attributes offering different solutions. For an airline looking to operate a freighter into one location in the UK, East Midlands Airport’s central location is clearly the best match. Or if an airline already operates into London or the South East, a second service into Manchester Airport provides improved delivery times to the North West, Midlands and Scotland, complementing the South East service. On the other hand, if a customer requires access to the UK but for whatever reason needs to minimise flying time, for example pilot hours, then Bournemouth Airport can provide a solution with easy access to London, less than 100 miles away. 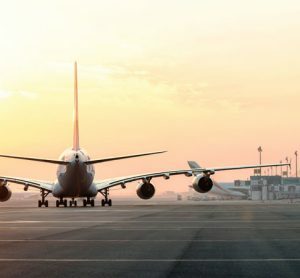 There is always flexibility and we can share our advice, but ultimately it is down to the customer to decide which airport works best for them. MG: How efficient is the Border Inspection Post and what particular challenges can the inspection process bring? JF: We view the Border Inspection Posts at Manchester and East Midlands Airports as part of the infrastructure, which provide current and future customers with options for importation of animal products from outside the EU. The processes are heavily regulated; as for example is the layout and facilities they contain. Again our approach is driven heavily by customer demand, as is further investment in new or specific facilities. MG: How important is the relationship with the logistic provider companies? JF: We work on the basis that the more we know about what is important to our customers, the more efficient and effective our service to them becomes. The integrated carriers such as DHL, FedEx and UPS are major players in the logistics industry and bring their own demands in terms of the importance of on time departures to their networked operations. This means little or no slack in their block times compared to passenger services, and their worldwide network conn – ectivity means that issues, such as the time taken to clear the runway and aprons after snow, assume new significance. We recognise that everyone generally wants everything immediately and for the lowest possible price, that’s just human nature. However, this is where establishing and building on strong, long-term relationships can help us to go one better in achieving this, enabling us to better understand our customers businesses, their processes and operations. It is also import – ant to acknowledge that no two companies are exactly the same, so it is a balancing act. The strong relationships we retain enable us to identify what is desirable but lower priority and conversely, what is an absolute must have or game changer for each of our customers. MG: How do you approach the issue of the environment with your cargo operations? JF: As a large company, our aim is to balance our operation with careful consideration of the environmental impact we have and most importantly, actively reduce this impact. Our plan to reduce carbon emissions remains on target and our commitment to have carbon neutral ground operations at East Midlands, Humberside and Bournemouth Airports by 2012 and Manchester Airport by 2015 is also on track to being achieved. We know that we can only succeed if we engage with our stakeholders and we are continually looking to understand what matters most to them. I think the key is to continue a real dialogue, for example, we want airline customers to understand what is important to local people and for local people, who may have concerns, to have a good understanding of our operation. 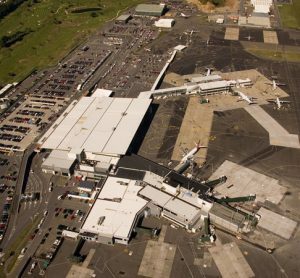 Environmental issues used to focus largely on noise and the impact of aircraft operations on communities near airports. We know from experience at East Midlands Airport, which is one of the busiest airports at night, that night flying is a particular concern for local residents, so we developed a range of measures designed to enable our customers to fly a considerable number of aircraft at night, but to ensure that they do so in ways which minimise the impact they make. Over the last few years wider issues such as climate change have increased in importance but that does not mean that noise has gone away, in effect we have to consider both. In reality taking a balanced approach to environmental measures often deals with both noise and wider environmental issues at the same time and can make good business sense as well. For example, working with airlines to maximise the use of continuous descent approaches which reduce noise on the ground and save the airline fuel and thus money and reduces CO2. Originally from a property (real estate) background, John Frogatt has been involved with airports since 1983, mainly at East Midlands Airport from its original Local Authority ownership through its sale to National Express and subsequent resale to Manchester Airports Group in 2001. With this background he set up the EMA property department and for many years was responsible for property, planning and concession development. His involvement in the property aspects of the air cargo customers, culminating in the development of the DHL hub at EMA in 2000, led to greater involvement in the air cargo business at EMA and he is currently responsible for the cargo business across all of the M.A.G. airports including Manchester, EMA and Bournemouth.